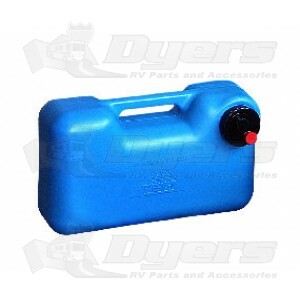 Portable polyethylene gray/black water five gallon holding tank. Weight Empty: 6 Lbs. and Full: 48 Lbs. Gray water connection hoses, caps and adapters.